This 143.6-acre property in Jay near the Spruce Mountain Ski Area overlooks the former French Falls in the Androscoggin River, a drop of six feet in the river that was blasted and mostly removed during the early industrialization of the area. The original 117-acre property was previously conserved through a long-term conservation lease with Verso Paper, but ALT purchased it and an additional 26.6 acres, along with other properties in October 2014 as part of our Androscoggin Greenway Community Forest Project. The project was generously funded by Land for Maine’s Future and numerous private foundations. 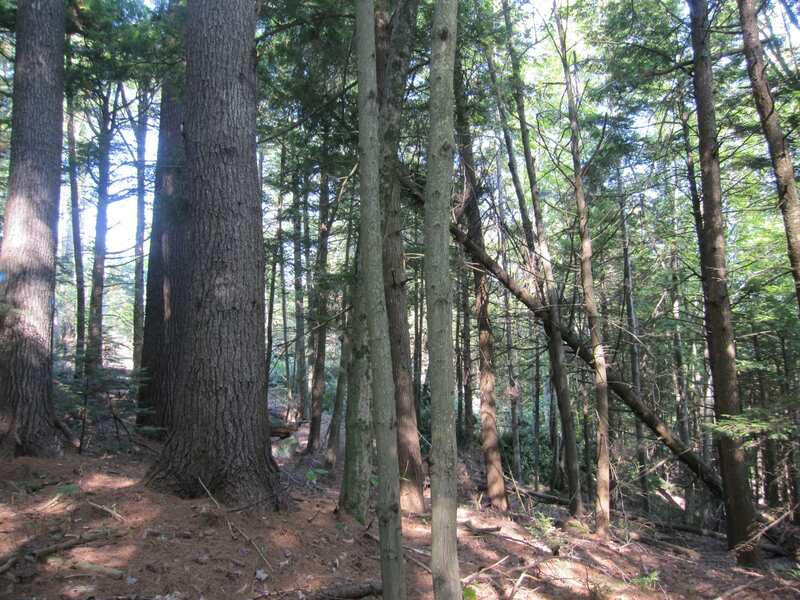 The property is managed for wildlife habitat, recreation and sustainable forestry. 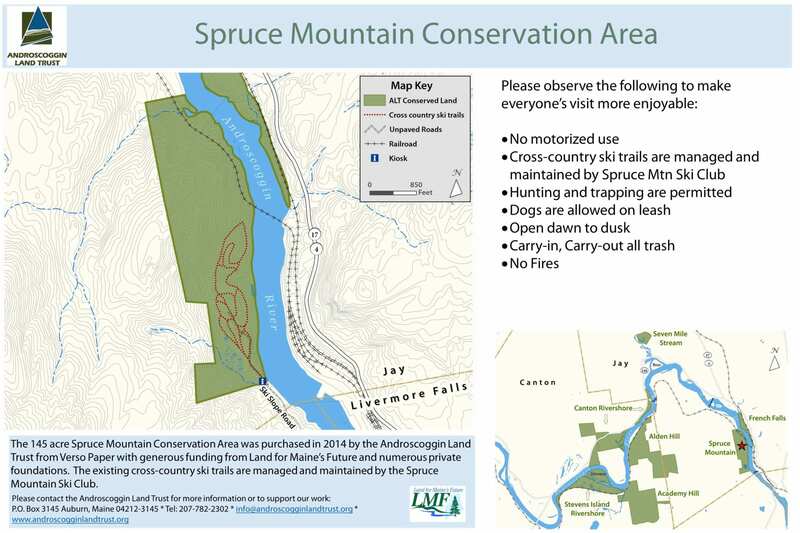 Directions: The Spruce Mountain Conservation Area is accessed via Ski Slope Road from Route 4 in Livermore Falls. Ski Slope Road narrows roughly around the Spruce Mountain Ski Area parking lot. The road is closed from the parking lot north and access to the property is on foot only at this point. Continue walking along the dirt road until you’re on the property.